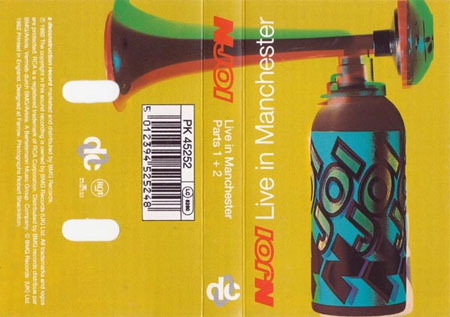 Live In Manchester, by N-Joi, is as close as you can get to putting the sound and feeling of an old school rave on vinyl. This recording is off of my promo vinyl copy, that never had the picture cover. I always liked the picture cover though, so I grabbed an image of the cassette cover off of Discogs and put it up here. I’ve also included a recording from a live N-Joi show that took place in Paris, France on October 24th, 1992. It’s a different set list than the Live In Manchester show, and unfortunately not all of the tracks from this performance were commercially released.